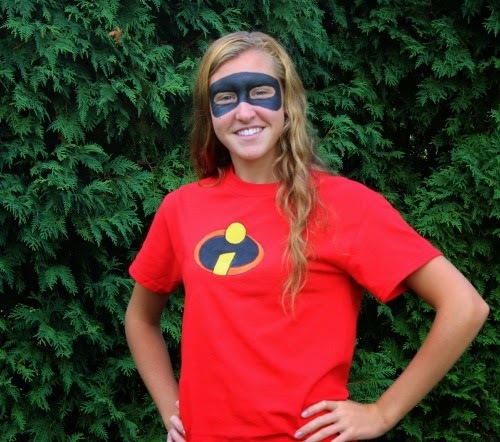 How many of you dreamed of being an Incredible when you watched the Disney movie for the first time or the 20th? I know I did! 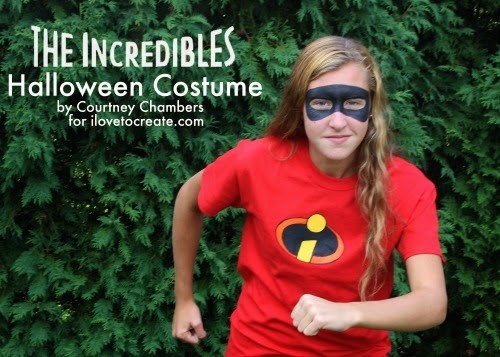 This Halloween you can make that a reality.. sort of! 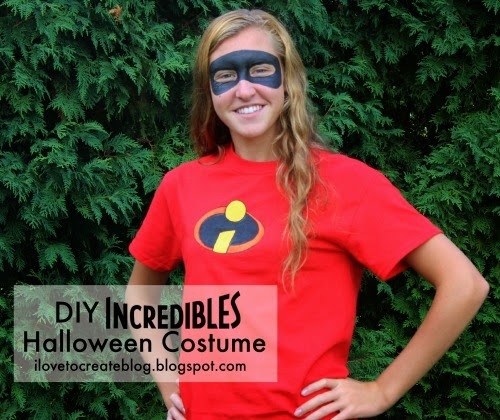 You can make a DIY Incredibles super hero costume super easily and in today's post I am going to show you how! 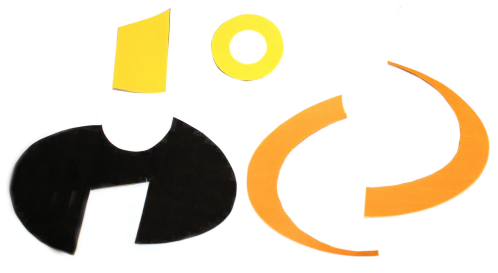 Step 1: Cut the elements of the logo apart so that each color is a piece. Step 2: Position the biggest piece (the black one) on the front of the T shirt towards the top. And trace around it with the fabric marker. 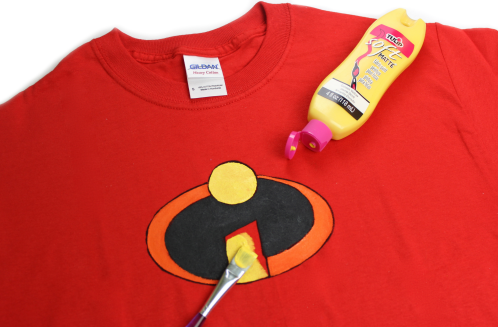 Do this for each piece until you have the complete logo drawn on their shirt. Step 3: Paint in each section on the logo with the correct color of fabric paint. Your shirt is all ready! Now it's time for the mask! 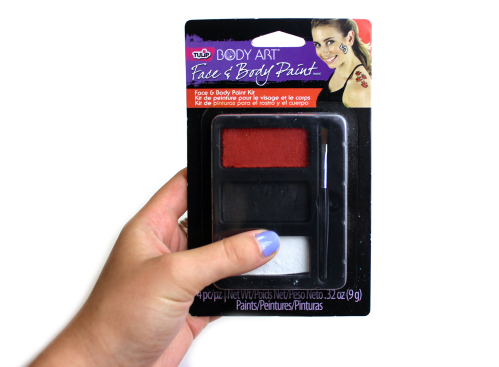 For this you will just need black Tulip Face Paint. Start by outlining the eye holes, then trace the mask shape onto the face and fill it in. 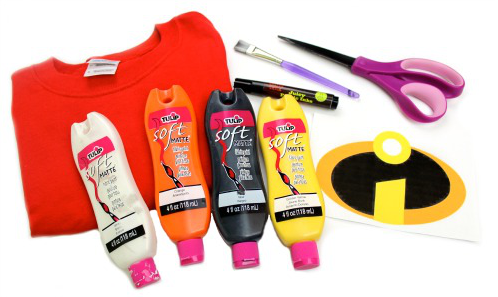 It is so much easier them making a mask out of fabric and looks even better! This was such a fun costume to make and it will for sure receive plenty of compliments on Halloween! I think this would also make a sweet group costume if you and your friends are going trick-or-treating together or to a costume party and all want to coordinate!